Everyone loves a cocktail, especially the classic from Harry’s Bar in Venice - the Bellini. 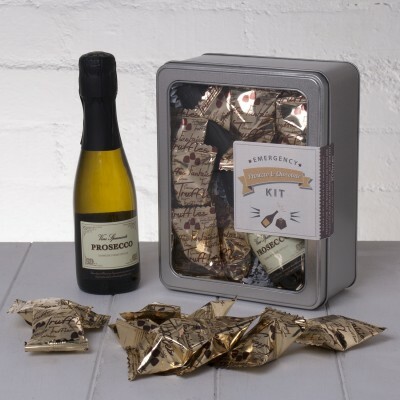 Picture how excited they will be when they open this Emergency Bellini Kit, ready to provide refreshment in a moment of need. 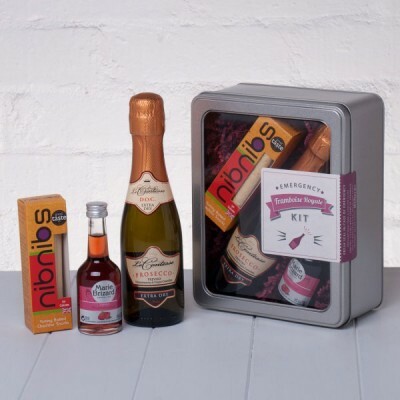 Our Emergency Bellini Kit makes a wonderful gift: perfect for birthdays and celebrations, a great way to kick start a weekend away or even a fun, romantic gesture for a loved one. A classic Bellini needs to start with great ingredients and we’ve paired Van Nahmen White Peach Nectar with Le Contesse Prosecco to create a perfect Bellini whenever the need strikes. Presented in a chic metal tin (with a clear lid to show off the contents) lined with ivory shred and finished with the 'Break Seal in Case of Emergency' label it’s a ‘ready to give’ gift - you can even add a personal message and specify delivery direct to the lucky recipient. Cheers! A superb wine that is both refreshing and elegant. It has heady floral notes and is quite simply bursting with ripe juicy pear flavours.